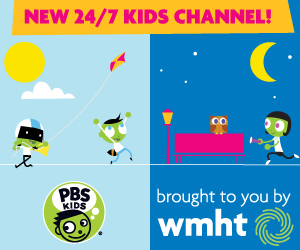 Watch June 15, 17 & 19, 2015 at 11am on WMHT TV. 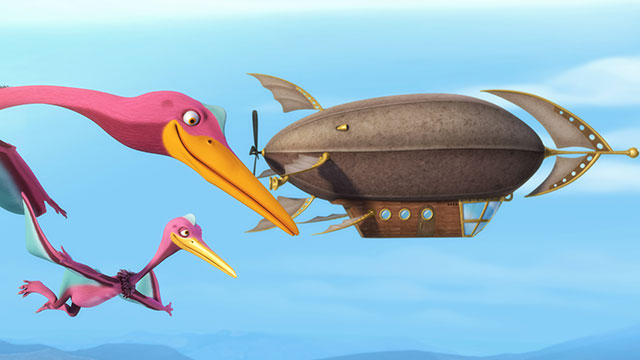 Buddy, Tiny and the whole Pteranodon family are having all new adventures as they explore the Mesozoic era on the Dinosaur Train Zeppelin! Fly high aboard the latest amazing vehicle from Dinosaur Train Industries and get a bird’s-eye (or Queztalcoatlus-eye!) view of a pod of marine reptiles as they migrate through the ocean, watch the land mass Pangaea as it starts to break into continents and even learn about asteroids and the craters they make when they crash into Earth. With the Dinosaur Train: Zeppelin Adventure, there will be fun and flights that cannot be missed!